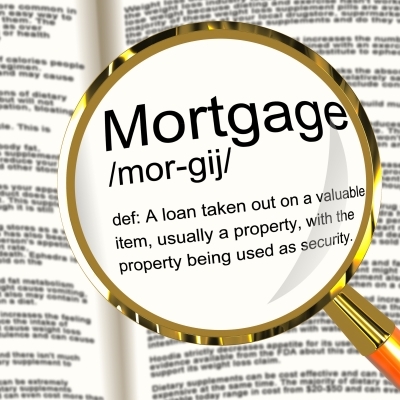 Choosing a mortgage product can be confusing for first time or even veteran home owners due to the myriad of options available. Learn who you should consult for advice and why you should reach out to them to gain confidence in the mortgage products available to you. Finding the right match can ease your worries, clarify your vision and save you money in the long run. Do thorough research on packages available to you in order to lessen options and zero in on the most appropriate mortgage product for your individual needs. Use mortgage tables to scan through competitive interest rates. Check out what rate you pay after the initial rate ends and when discounted, capped, or fixed rates end. Review the APR, or Annual Percentage Rate, to see the tabulation of fees which you will pay on to of the quoted interest rate. Compare valuation fees, arrangement fees and other fees which add up when you calculate your final bill. Is interest charged annually, monthly or daily? Answer these questions do the best of your ability to find the proper mortgage product for you. You can review 3 options when scouring information for a mortgage product. Speak with mortgage brokers for recommendations. Notify these brokers if you have found relevant information via your due diligence campaign. After scanning comparison tables bring any intriguing deals to your mortgage brokers to discuss further. Tapping into professional help can erase any confusion associated with your due diligence and can also create peace of mind. Assess what your building society or bank can offer you, particularly if you already have an existing mortgage with the entity. Check to see what special deals your bank or building society can offer you to find the right mortgage product for your needs. If you have a mortgage with the bank you might have access to lower rates for your customer loyalty. Realize that it is not in a bank’s interest to share mortgage products from outside of their organization so you can only access the bank’s specific mortgage deals during this portion of your due diligence campaign. Record the information you receive and compare against other building societies or banks to see which entity can best service you. Buy based on the advice of your broker instead of on an information only basis to gain access to more rights should the mortgage product be a poor fit for you. Select only mortgage brokers who offer advice and release brokers who offer information only for the aforementioned reason. Brokers offer advice either based on products from a few lenders or from the market whole. Compare these individuals to building society or bank mortgage advisers who can only offer advice concerning their own mortgage products. Choose a broker who offers advice from the whole market because these individuals give the fairest representation of the widest range of products on the market. Kelli Cooper is a freelance writer who blogs about all things real estate; if you are considering what type of mortgage is a best fit, it is worth noting that adjustable rates have traditionally been more popular; follow the link to learn more.